Theater for Inclusion is community intervention project directed by París Uki. It is based on theater and participatory art. To deepen into our roots_ Research-action processes. To take care the core seed_ Workshops and creative processes within communities. To share the experience _ Seminars and trainings within professional teams. Theater for Inclusion developed from Colectivo Improspañol (Vienna, Austria, 2012-2017) and was supported by ART KO LÈ Verein in Vienna from 2015 until 2017. 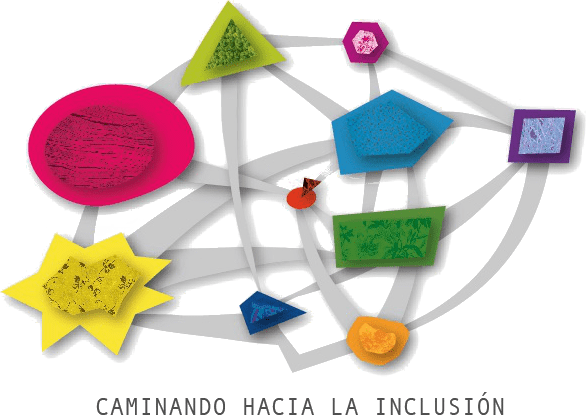 Since 2018, Theater for Inclusion is supported by Asociación Cultural P.L.A.Y. _Participation_Learning_Art_Youth– It foster community cultural development based in Sierra Norte de Madrid. We are an international and multilingual collective of people with diverse professional and personal backgrounds. The team is modified and enriched by each and every participating member. That is how we learn from each other and grow together, this is how we create new ways of relating to each other and of providing mutual support. In 2016, we participated in the “Walking towards social inclusion” project in Vienna, promoting specific and sustained actions every month. We celebrated “The value of being different” (July 2016) as part of the first Vienna Social Tour. In 2017, we continued with the Social Tour for Inclusion from Cazalla de la Sierra (Seville, Spain) to Vienna (Austria). In 2018, we continue working on our participatory research-action project “Szeno-Forum: Excluded Voices / Voces excluidas / Ausgeschlossene Stimmen” in Sierra Norte (Madrid, Spain). You can follow all our activities on our blog. ARE YOU INTERESTED IN THEATER FOR INCLUSION? WE ARE VERY HAPPY TO MEET YOU, AND TO TALK ABOUT HOW WE CAN WORK WITH YOU, YOUR COMMUNITY, YOUR ORGANIZATION. BE PARTNER OF THEATER FOR INCLUSION!! C/ Cañada del Vedado, 22. Navalafuente (Madrid. 28729). Spain.